Technology is transforming the way we communicate within the workplace by creating clear and honest lines of communication at work. The effects of such technologies have led to increased productivity of employees and, as a result, is beneficial to companies and employers alike. Employees who are nearing retirement age have been forced to adopt new technologies as companies move away from an emphasis on face-to-face communication. Face-to-face interaction has become increasingly rare in the workplace and in conducting business in our global economy. Conference calls, email, social media, and other online communication tools have made remote work more feasible than ever. As millennials make up the largest population of workers, these technologies are making more of a presence in the workplace-communication styles than previously experienced. Their generation is more comfortable and familiar with them than previous generations, sometimes creating a gap between older generations and younger ones. Communication in the workplace was considerably streamlined with the introduction of email. It aided in simply saving the time of scheduling meetings, physically seeking out colleagues who are not at their desks at opportune times, or being required to be present at a meeting that doesn’t call for your input. The benefits of email are numerous and obvious to those who were of working age when it was introduced to the workplace. The millennial generation will never know the frustrations of long, drawn out, company-wide meetings. Instead of waiting for a chance to speak at a table of numerous other people, you can “reply all” to sender and add your input to be read at all participants leisure. 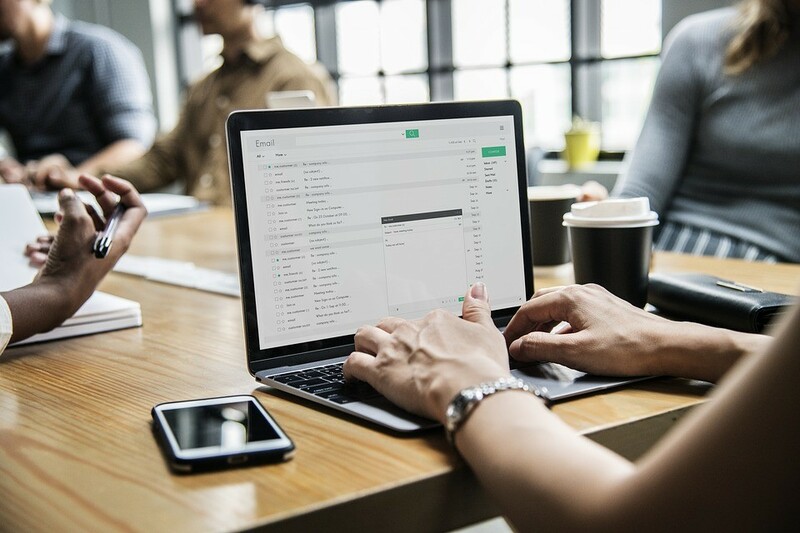 Not only did email create new communication highways between colleagues and business partners, but with their customer base as well. It’s become a powerful marketing tool, and many businesses now use email to target specific audiences and grow their customer base. The perks of email and other forms of electronic messaging is that they are instantaneous. Documents can be submitted and signed for approval at any time of day and are no longer tied to business hours. Additionally, business is more easily conducted globally without time zones becoming an issue. It’s allowed for a whole new level of flexibility in business that wasn’t previously available. Following the implementation of email, tech-savvy innovators recognized the ready market of instant messaging. Nearly all email accounts now offer a direct messaging app within their software. For example, Google offers Google Hangouts, which provides real-time messaging between you and your co-workers. Within Google Hangouts, you can share your screen for information exchanges and presentations, and you can also video chat if you are in need of face-to-face time with a client or employee. Messaging applications, such as Slack, are being implemented into the common workplace. The software can be accessed on your desktop, as well as your smartphone. The app provides a platform for messaging the company as a whole in group chats or private messages between select people and groups. You can tag one another to make sure that your messages are received by individuals and creates a space for engagement for remote employees. You can also attach files and photos for quick referencing during conversation. An added benefit to using communication technology is enabling you to communicate with customers without having to host a call center. By implementing a LiveChat option on your website, you can answer their questions without delay and foster a beneficial relationship from the first point of contact. One of the downfalls of being so easily connected and contacted is being tied to your mobile phone. Luckily, most apps and software offer a silencing tool to mute notifications on your weekends or while on vacation. The hazard of the free flow of information is feeling the need to respond as messages filter in. Setting business hours for yourself will enable you to enjoy your time outside of your preset office hours to foster a healthy work-life balance. The use of social media is also currently prevalent in business. It is wise to keep in mind that you are easily found on social media and you should adjust your privacy settings so that your employer is not able to access your private pages. You can be responsible for the things that you post but not for others’ actions on your social media profiles. To protect yourself, it is best to keep your personal social media private and separate from people you work with. Another challenge of electronic communication is the loss of the human element that allows us to interpret nonverbal messages written words often fail to relay. Messages that are ambiguous or vague can be left open for interpretation, causing communication breakdowns and the potential for mistakes. Contradictorily, messages that are too direct or blunt can feel harsh or intimidating. Due to our current messaging systems’ instant nature, there is not always an effective delay in responses when feeling emotional or upset. This can have negative impacts on our communication in the workplace. Be aware of your emotional state when responding in a messaging app or via email to ensure that your message is not construed. Communication technology has revolutionized the workplace and made it easier than ever to relay information and improve productivity. Just make sure everyone in the company is taking the time to make sure that they are using these communication tools to best convey messages and information effectively. With so many options available to us to improve communication in the workplace, it is to our advantage to utilize it enable us to succeed.